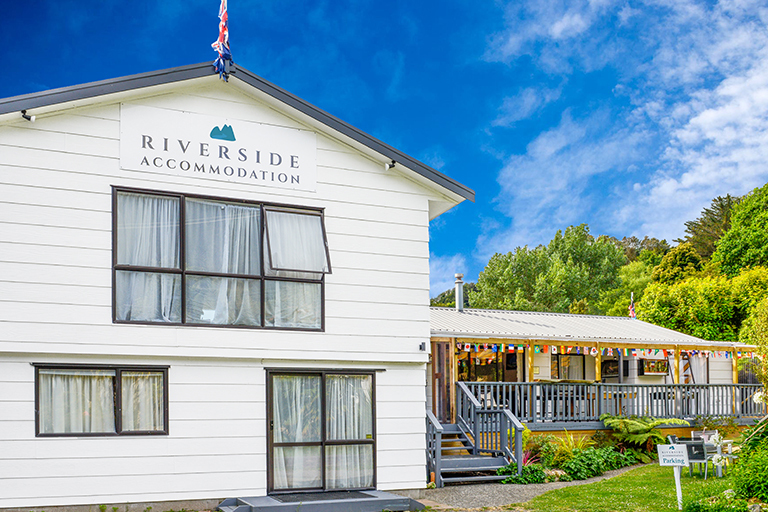 A great place to rest your wheels, Riverside Accommodation is located just 700 metres from the Hauraki Rail Cycle Trail. 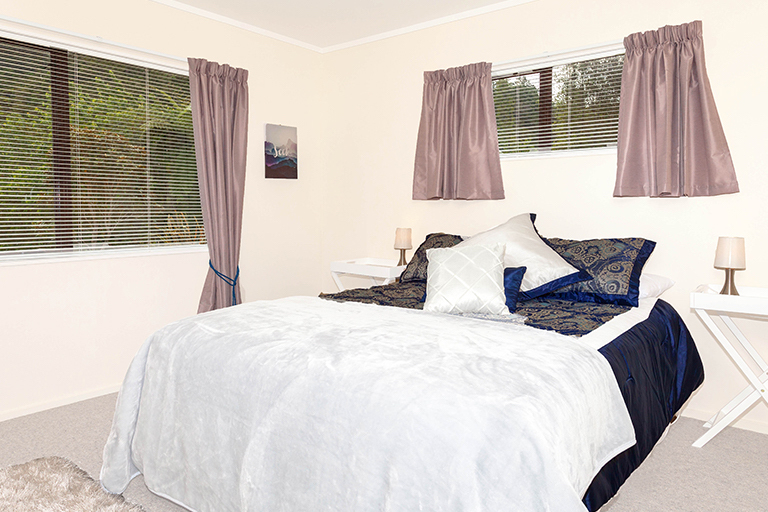 Geared up for cyclists, Riverside offers a range of comfortable rooms, with private and shared bathrooms and kitchen options available depending on your budget. 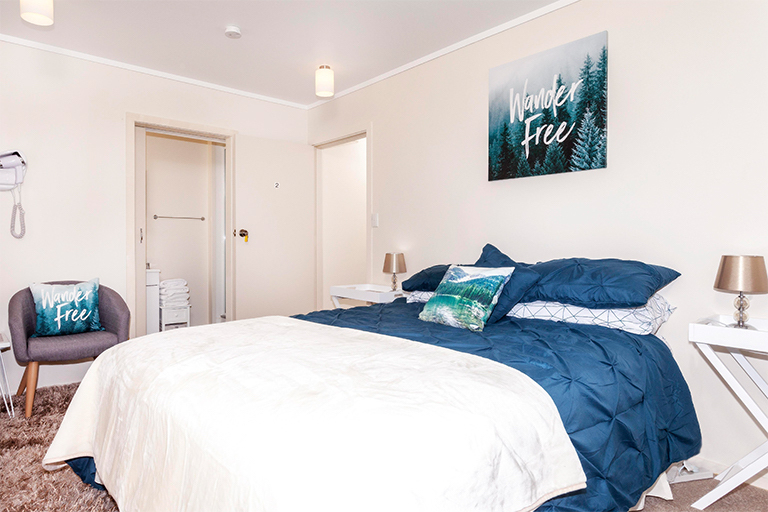 Take advantage of the lockable attached bike room, free laundry facilities, and the large shared lounge (SKY TV), dining and kitchen available for all guests to use, and two outdoor recreation areas. 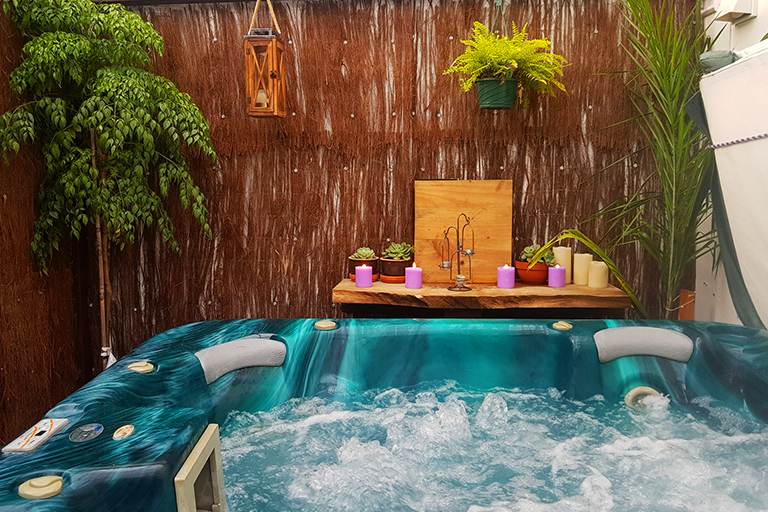 Soak away the miles in the spa, have a BBQ on the deck, or grab a cuppa and a friend for a fireside chat around the brazier with the sound of the river just across the road. After dark, go for a short walk and enjoy glow worms in full show! Karangahake offers excellent dining options, with several cafes nearby; The Talisman and Waikino Station Café, the historic Wakino Pub, the Karangahake Winery (a short stroll away! ), and a superb bistro, The Falls Retreat. Stretch your legs and look for lost gold through the Windows Walk tunnels (2.5km round trip), or try the Old Rail Tunnel Loop Walk (2.5km round trip), both offer stunning bush and river scenes. 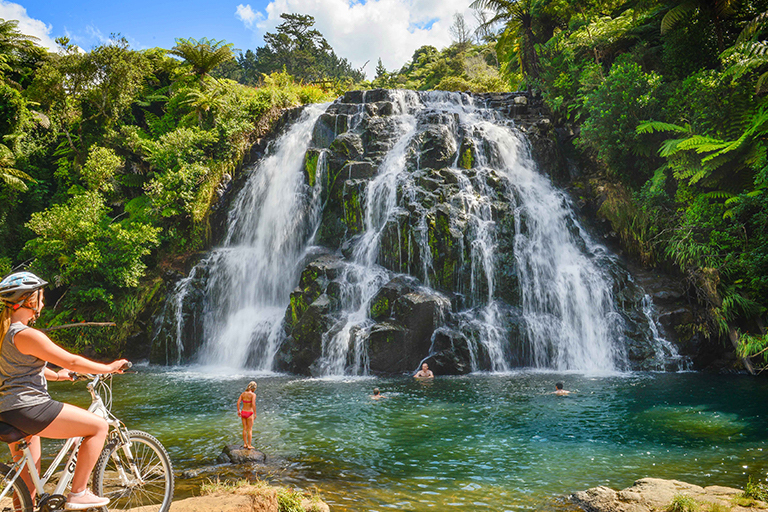 For a longer walk or cycle, follow the sparkling Ohinemuri River towards the historic Victoria Battery and end with refreshing dip in the beautiful Owharoa falls.